I would like to thank the good people of Hybrid Elevator in Kelowna B.C. for their dedicated performance to getting myself, a recently paralyzed middle aged man, mobile and where he belongs, out in the community! Our home is a second floor condo walk-up. Without the aid of someone carrying me in and out I was housebound! I heard about Hybrid Elevator through a friend. I was amazed that they were the first company of the 3 that I had contacted that told me that I may qualify for funding! My wife and I got together with Marianne and went through the necessary forms. Our application was approved! Kudos to Hybrid Elevator for one recommending and two for being as patient with the process. Our elevator has enabled us to remain in our home that we bought only one month before my injury! My injury not being compensated in any way prevented us from buying another home. 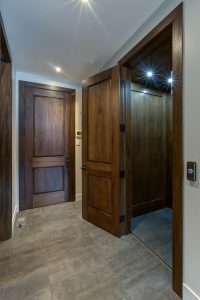 The welcome addition of our very sleek and sophisticated Hybrid Elevator has allowed my wife and I to remain happy homeowners. 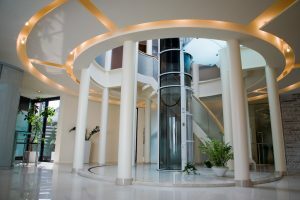 I would personally recommend that anyone in need of an elevator contact the good people at Hybrid Elevator and give them an opportunity to meet your needs with the friendly professional service that they provided us with!. 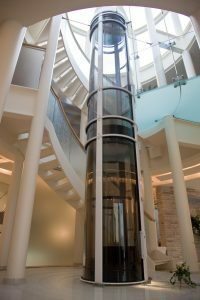 Are you thinking about adding an elevator to your home?